Are you good about paying off your credit card balance each month? If you answered yes, Citi® Double Cash Card - 18 month BT offer might be appealing to you. If you have excellent or good credit, this 2019 CardRatings Editor's Choice winner for Best Flat-Rate Cash-Back credit card could change the way you think about earning rewards too. Often times, 0 percent APR introductory offers are limited to one year or less. Citi® Double Cash Card - 18 month BT offer offers a generous 18-month grace period for balance transfers, which is good if you have a major purchase on the horizon and making payments slowly is your plan. Citi® Double Cash Card – 18 month BT offer is the only card that earns you cash back twice on every purchase – 1 percent cash back when you buy and 1 percent cash back as you pay for those purchases (whether you pay your balance in full or over time). The double cash angle is a different structure than most reward cards on the market, which makes card holders think differently about the way points can be accumulated. Citi® is making this rewards card attractive for frequent shoppers by launching its new Citi® Price Rewind program. Cardholders shop, and Citi® searches for a lower price than the one you got. If the same item is found at retailers' sites within 60 days, you can be refunded the price difference up to $300 per item, and up to $1,200 per year. Earn cash back twice on every purchase with 1 percent cash back when you buy plus 1 percent cash back as you pay for those purchases. Take advantage of an 18-month, zero interest offer on balance transfers (then, 15.74% - 25.74%* Variable). Our 2018 Editor's Choice pick for Best Flat-Rate Cash-Back Rewards. Savvy shoppers willing to employ a little more strategy might prefer cards with rotating bonus categories. The bonus categories on the Citi® Double Cash Card – 18 month BT offer card are not restricted, and rebates have no caps. 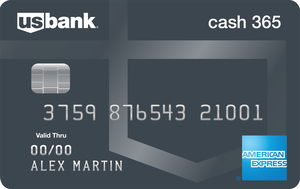 This cash-back rewards card is good for high value on-going rewards – the more you spend, the more you earn. The categories aren’t rotating either, so knowing exactly what your reward points may be redeemed for, at all times, is subjectively an important feature. Receiving rewards points for purchases and payment on accounts is a great incentive to pay off your balance each month. Any time a credit card company can promote smart credit card habits, it’s a win. Most credit cards within the cash back category have, at most, a 12-month introductory offer of 0 percent APR – Citi® Double Cash Card - 18 month BT offer offers 18 months on balance transfers, which is pretty generous. If you have a major purchase on the horizon that would be easier to pay off in smaller increments, the extended balance transfer intro will be appealing. There is a balance transfer fee, so if you’re looking to skirt interest from another card with the introductory 0 percent APR program, be aware that there will be a $5 or 3 percent charge, whichever is greater. If you don’t pay your bill in full each month, the rewards will be overshadowed by the relatively high APR. This card is not great for traveling abroad. Although there are perks like worldwide car rental insurance, and trip cancellation and interruption protection, most of the card highlights are U.S. specific. There is also a 3 percent foreign purchase transaction fee. If you’re a frequent travel but love the double cash concept, securing an additional card might make sense. If you don't mind paying a $95 annual fee (waived the first year) and want a straightforward way to gain cash back plus earn a large signup bonus, the Capital One® Savor® Cash Rewards Credit Card is a good option to consider. Sure, it has an annual fee, but it earns users a whopping, unlimited four percent back on all dining and entertainment purchases, two percent at grocery stores, and one percent on everything else. If you often like to dine out and enjoy a night on the town, this could be a great card for you, especially since new users can also earn a $500 cash bonus once spending $3,000 with the card within the first three months of account membership. However, if you're more so looking for a card to spend on every day basics, like gas, grocery, and household items, you might not benefit much from that four percent earnings rate, and could be better off sticking with the Citi card. The biggest things you'll want to consider if deciding between these two cards are 1) your spending habits, and 2) whether a $500 cash back bonus or an 18 month, 0 percent APR offer would be more valuable to you. If you can't stand the idea of paying an annual fee but like the sound of the Capital One® Savor® Cash Rewards Credit Card, you could consider applying for its sister card, the Capital One® SavorOne℠ Cash Rewards Credit Card, instead. 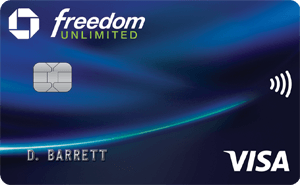 This card has no annual fee and offers unlimited three percent cash back on dining and entertainment purchases, two percent at the grocery store, and one percent on all other purchases, plus a sign up bonus of $150 once spending $500 in the first three months. The Citi® Double Cash Card – 18 month BT offer provides you with 18 months of 0 percent APR on balance transfers; whereas, Chase Freedom® touts a 0 percent intro APR on balance transfers for 15 months, though the Chase Freedom also offers 0 percent APR on purchases for 15 months (then, 17.24 - 25.99% Variable). If you keep up with rotating categories well, the 5 percent cash back on up to $1,500 in combined purchases in bonus categories each quarter you activate with Chase Freedom® is attractive. If you like unlimited rewards, without tracking rotating categories, Citi® Double Cash Card – 18 month BT offer might be an easier solution. Chase Freedom® is offering a sign up bonus: Get a $150 bonus after spending $500 on purchases in your first 3 months from account opening. Citi® Double Cash Card – 18 month BT offer relies on its simple cash back structure to be the deal closer. In addition to the 2 percent reward for each purchase, the Fidelity® Rewards Visa Signature® offers a $100 bonus if you spend $1,000 within the first 90 days of opening an account. It has one other unique benefit as well. Each Fidelity credit card must be linked to a Fidelity account, which makes it easier for a card holder to put rewards points in accounts like an IRA or 401K. It is hard to pick one card over the other when we compare the benefits of long-term financial planning or incentives to pay off credit card balances. Citi® Double Cash Card - 18 month BT offer is best for consumers with excellent or good credit who will pay their balance in full each month. Revolving balances need to be eliminated to fully maximize the rewards program. It is also important for the Citi® card holder to use different cards while traveling abroad to avoid paying foreign transaction fees too. The Citi® Double Cash Card – 18 month BT offer is most beneficial for purchases made within the U.S.